Rental cars offer the ultimate convenience for you to really explore New Zealand. Picture yourself enjoying a hot cup of coffee or a glass of pure mountain water, right beside a stunning lake or white-sand beach. When travelling in a car in New Zealand you are no longer just a spectator but become part of the landscape itself. For the truly independent traveller, nothing beats touring New Zealand in a campervan or motorhome, with the convenience and freedom of having both your transport and your accommodation 'all in one'! There are plenty of opportunities to spend the night either amidst nature or in the cities or towns, whether in a campervan or by choosing one of the many excellent-quality accommodations. ANZ Nature Tours can help you with all of your accommodation bookings and we have an exciting Bed and Breakfast voucher product available also. Click here to contact us about our voucher products. 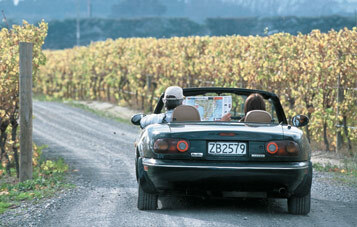 Have also a look at our self-drive tours in New Zealand. These are day-to-day, itineraries where everything is pre-planned for you - including rental car and hotels. Self-drive itineraries also include a range of driving routes, depending on the time you have and the area you want to go.